Before we get to embark on a honeymoon we had to get one more important thing done. What? To get married, of course! 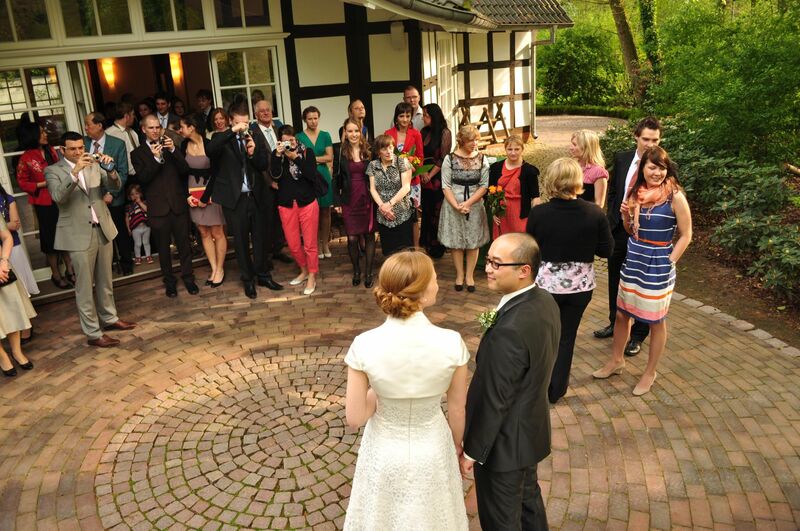 On the 4th of May 2012 our wedding day was finally there. Despite grim warnings of cold and rain, the day turned out to be quite nice and typically North German in its changes from sun to rain and back to sun. Luckily we had our wedding umbrella ready. We’d like to say a big thank you to our families and friends – both those who traveled to be with us on this special day and those who could not make it but sent their well-wishes instead. The rows of greeting cards and flowers on all tables and windowsills of our flat are a constant reminder of how lucky we are to have such wonderful people around us!